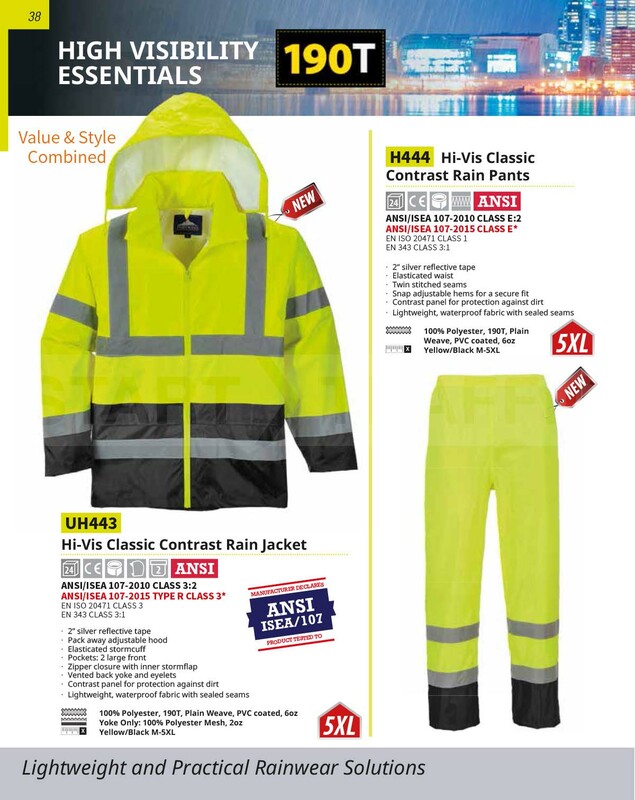 When it is wet outside and you still have to get your work done this jacket offers visibility, protection and great value. 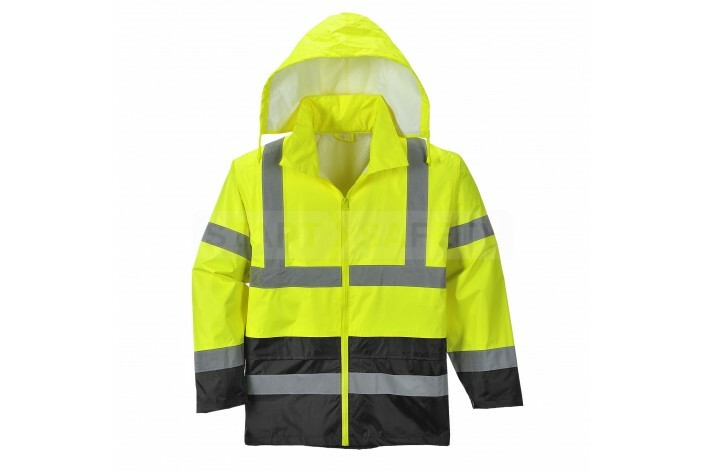 The jacket is made from a lightweight waterproof fabric making it excellent for use during warmer months and climates. The jacket has a pack away adjustable hood and zipper front with inner stormflap. Elasticated inner cuffs help to prevent water ingress up the arm. 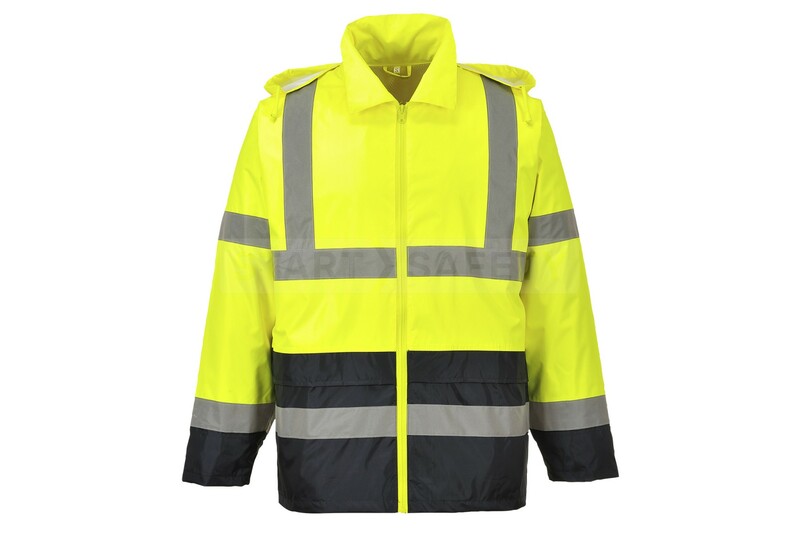 A contrast band along the lower of the jacket and at the cuffs ensures that the vibrancy of the yellow material is maintained even in dirty environments. These go great with the H444 Classic Contrast rain pants! Do you have questions about this Rain Jacket? Give us a call and speak to one of our trained sales team, they will be able to assist you in finding the right product for your needs. They would also be happy to discuss any bulk quantities that you may require.